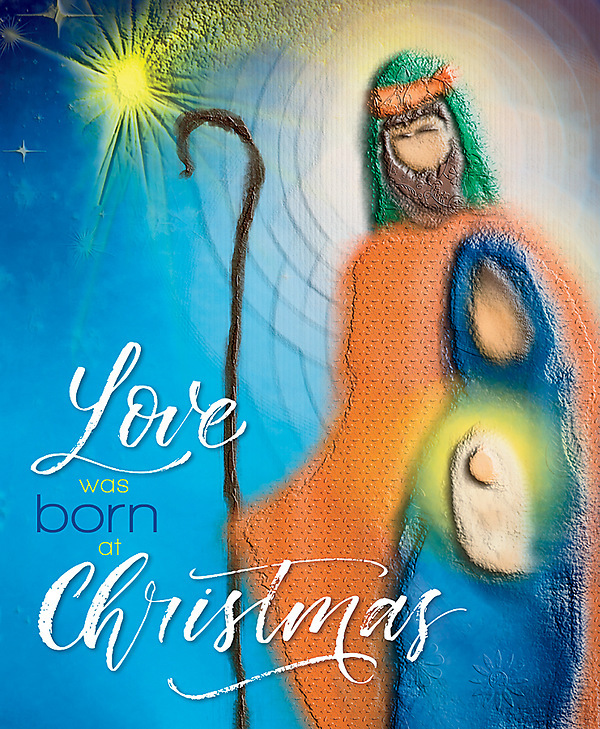 The large size bulletin features a starry sky and a manger. The bulletin is shown folded (8.5" x 7.0"), exactly as church members and guests will receive it. Worship bulletins arrive packaged flat 8.5" x 14" to fit into your printer or copier; shrink wrapped in packages of 100.